Friendship Haven Wellness Assistant, Andrea Doster, completed the education and volunteer requirements to become a Master Gardener in 2016. 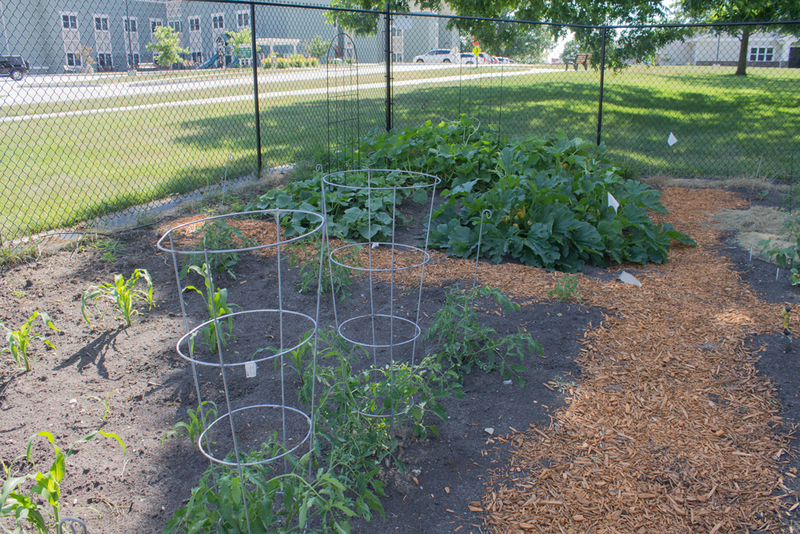 The Friendship Haven Resident Community Garden was developed in 2016 and is located on the north side of campus between the Wellness Center and Journeys Building. Within one year, the garden has been able to expand and a fence was installed in early 2017 to help with protection. The garden is a great way for residents to experience well – being outside of the Wellness Center walls. Gardening, soil, sunshine has many health benefits, but the residents who participate in the garden don’t think of their time spent in the garden as “work”. Rather gardening is a time to let the mind escape or relax, while the body continues to exercise by bending over, squatting down, pulling out weeds, hoeing rows, reaching to pick that one last zucchini, green bean or ripe tomato.